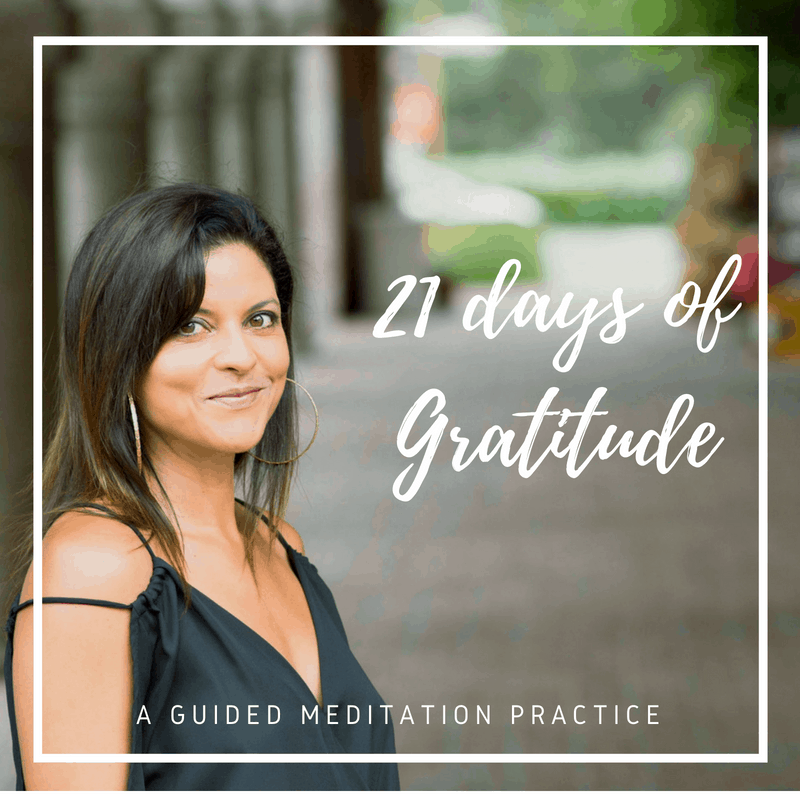 Welcome to day 1 of your 21 days of gratitude meditation practice. I’m so excited about this series because through the practice of gratitude you will create changes in the direction of your joy. Gratitude will raise your vibration, healing toxic emotions and negative states of mind. Daily gratitude will shift your perceptions and create a more positive outlook. Without negative emotions weighing you down, you’ll have more energy and vitality. People with a positive attitude have lower rates of stress, depression, and increased life span. Oh yes! Today, I was inspired by the simple act of breathing. How often do you stop to pay attention to your breath? Your breath connects you to the Life that lives you, to your body, and all life on this beautiful planet. Gratitude is more than making a list of things you’re grateful for, gratitude arises naturally when you pay attention. So, pay attention to your breath, now. Feel how it nourishes and supports you. Let it fill your heart, your body, and calm your mind. Isn’t it wonderful that you are alive and breathing? I did the first meditation yesterday. How do I go to day 2? Thanks so much for your question. I’ll put links in the posts so you can get the next one. There’s also a place where you can search the blog posts.